This country kitchen is moulded and designed to it’s owners taste and provides an accessible view to a rural landscape overlooked by Mt. 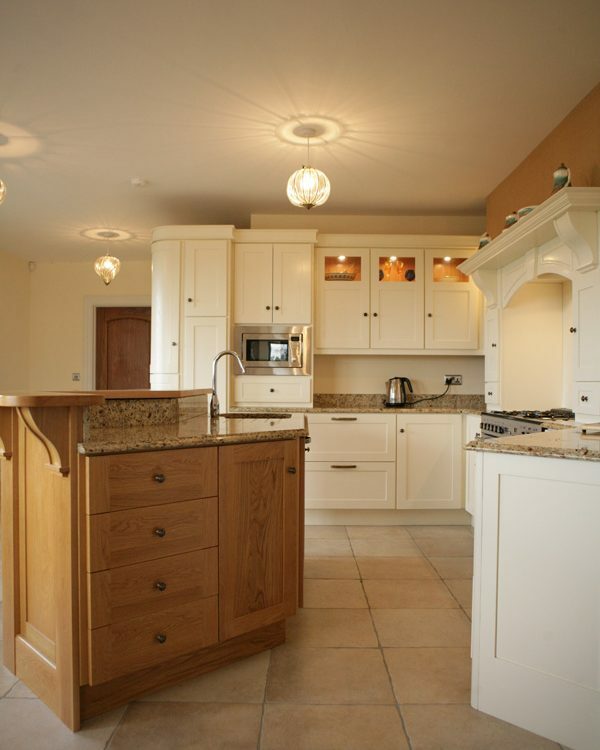 Leinster, The kitchen entrances you with it’s freshly painted kitchen units, expertly moulded granite work surfaces and the alternative positioning of the American solid Oak island unit. 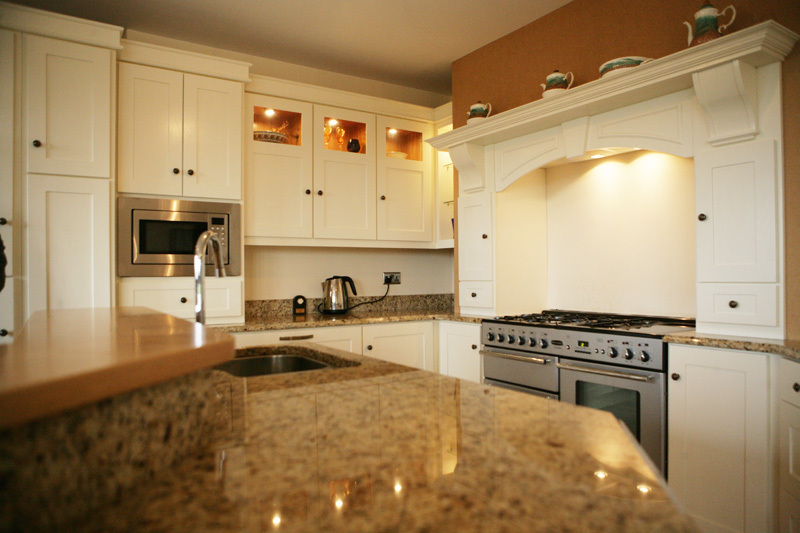 The mixture of paint and timber portrays a strong yet warm texture to the hard granite finish. The hand - crafted mantle incorporates a hidden extractor system for noise reduction and is woven to produce an arch like image complementary to the angular walls. 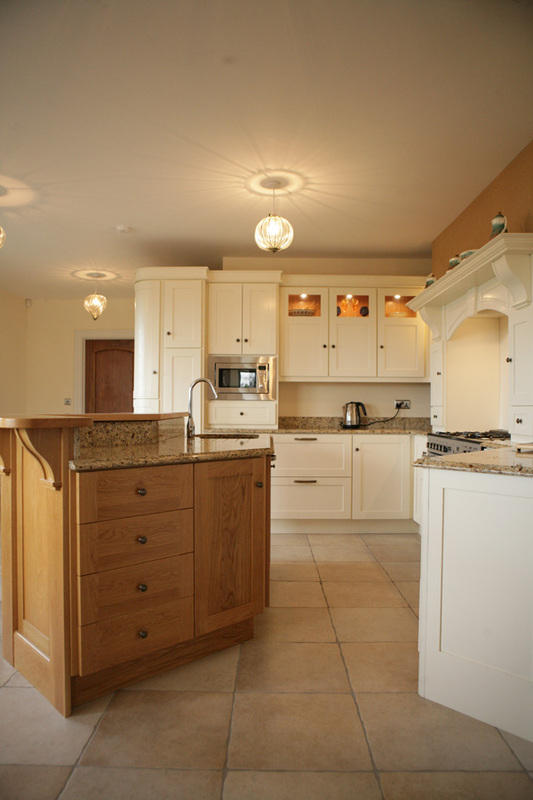 Both the mantle and island convey the artistry and unique design of this masterpiece with twin detailed corbels on either unit. 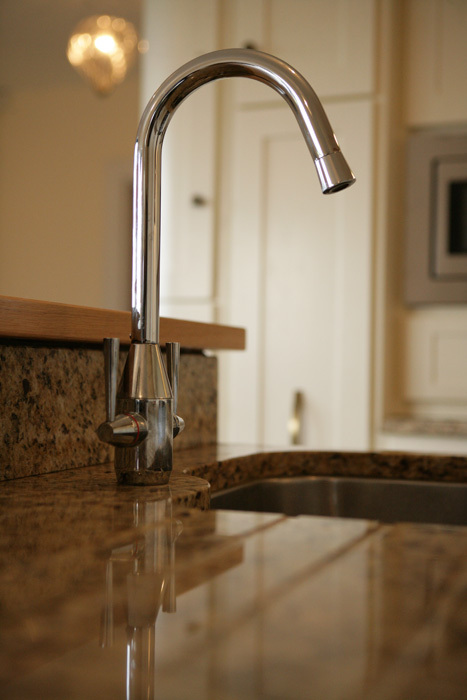 The additive features such as under mounted sink with a stainless steel chrome tap, Pewter handles and knobs and curved doors which slipstream the kitchen at its edges gesture a sentiment to impecable taste and design.